Astrophysical shock waves are a major mechanism for dissipating energy, and by heating and ionizing the gas they produce emission spectra that provide valuable diagnostics for the shock parameters, for the physics of collisionless shocks, and for the composition of the shocked material. 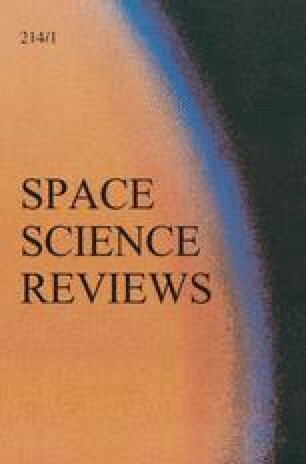 Shocks in SN ejecta in which H and He have been burned to heavier elements behave differently than shocks in ordinary astrophysical gas because of their very large radiative cooling rates. In particular, extreme departures from thermal equilibrium among ions and electrons and from ionization equilibrium may arise. This paper discusses the consequences of the enhanced metal abundances for the structure and emission spectra of those shocks. This work was supported by GO grant HST-GO-13436.01-A from the Space Telescope Science Institute and by the International Space Sciences Institute. It grew out of the ISSI meeting on Supernovae in October, 2016. For the reader’s convenience, we list the SNRs showing shocks in O-rich material, along with some recent references that cite earlier works. The list of references is not intended to be complete or to include studies not directly related to shocks in enriched ejecta. Cas A is the brightest and best known O-rich SNR. A comprehensive study of the X-ray spectra is given by Hwang and Laming (2012), and optical studies include Patnaude and Fesen (2014) and Milisavljevic and Fesen (2015). A near IR study is described by Koo et al. (2013) and mid-IR spectra by Isensee et al. (2010). The bright O-rich SNR N132D is in the LMC. Schenck et al. (2016) analyze the X-ray spectrum, and France et al. (2009) analyze a UV spectrum from COS. Blair et al. (2000) discuss optical and UV spectra obtained with the FOS on HST. Tappe et al. (2012) obtained Spitzer spectra of N132D. They concentrate on PAH emission from the blast wave, but they also show a spectrum of the ejecta knots dominated by [Ne ii] and [Ne iii]. The SMC supernova remnant 1E102.2-7219 was observed in X-rays by Plucinsky et al. (2017) and Flanagan et al. (2004). The far UV spectrum was obtained by FUSE (Sasaki et al. 2006), and the rest of the UV spectrum is given by Blair et al. (2000). Blair et al. (2000) also give the optical spectrum, and Vogt et al. (2017) present an IFU study of the optical structure. Spitzer IR data are presented by Rho et al. (2009). The LMC remnant B0540-69.3 is an O-rich remnant photoionized by a PWN. Brantseg et al. (2014) present the X-ray spectra, along with radio and optical images. Morse et al. (2006) give optical images and spectra from HST, and Williams et al. (2008) analyze the IR spectrum. The X-ray spectrum of the very young O-rich SNR in NGC 4449 was analyzed by Patnaude and Fesen (2003), and its optical spectrum is given by Milisavljevic and Fesen (2010). The Galactic SNR G292.0+1.8 has been observed in X-rays by Bhalerao et al. (2015) and Kamitsukasa et al. (2014), and in the optical by Winkler et al. (2009). Ghavamian et al. (2012) analyze Spitzer spectra and images. The Puppis A supernova remnant is brightest in normal abundance material, but it contains a small region of shocked ejecta. Katsuda et al. (2010) give the X-ray spectrum and Winkler and Kirshner (1985) give the optical. G54.1+0.3 is a PWN-dominated supernova remnant similar to B0540-69.3, except that no thermal X-ray emission is seen, and the IR spectrum is dominated by intermediate mass elements (Temim et al. 2010).